Busamed Paardevlei Private Hospital is a 100-bed acute hospital. It is housed in a purpose-built, modern, attractive building situated in the historic Paardevlei precinct. The convenient location close to the N2 and other main and arterial routes which makes access to the world-class, quality treatment facility even easier for residents of the Helderberg basin and surrounding areas. A wide range of specialities are offered at the Somerset West facility. These disciplines include Pathology, Radiology, Cardiology, Cardiothoracic Surgery, Vascular Surgery, General Surgery, Orthopaedics, Paediatrics, Gynaecology, Anesthesiology, Urology, Plastic Surgery, Rheumatology, Robotic Assisted Knee Replacement Surgery, and Geriatrics. Busamed is a private hospital operating group with seven bed licenses across the country. In addition to the Busamed Paardevlei Private Hospital, they have Busamed Harrismith Private Hospital, Busamed Lowveld Private Hospital, Busamed Modderfontein Private Hospital Orthopaedic & Oncology Centre, and most recently, the Busamed Bram Fischer International Airport situated in Bloemfontein. Better diagnosis, advanced surgical procedures, and improved patient outcomes. Advanced technology plays a significant role in improving healthcare. The Busamed Paardevlei Private Hospital is equipped with the most modern equipment – aimed at the most favourable outcomes and best possible experience for patients and their families. 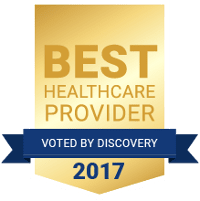 Staff and medical professionals at Busamed Paardevlei Private Hospital strive to provide an excellent service to both patients and their families. The facility makes provision for all patient needs. Busamed Paardevlei Private Hospital provides a full spectrum of cardiac, surgical, and related services to meet the surgical needs of Helderberg basin and surrounding areas.